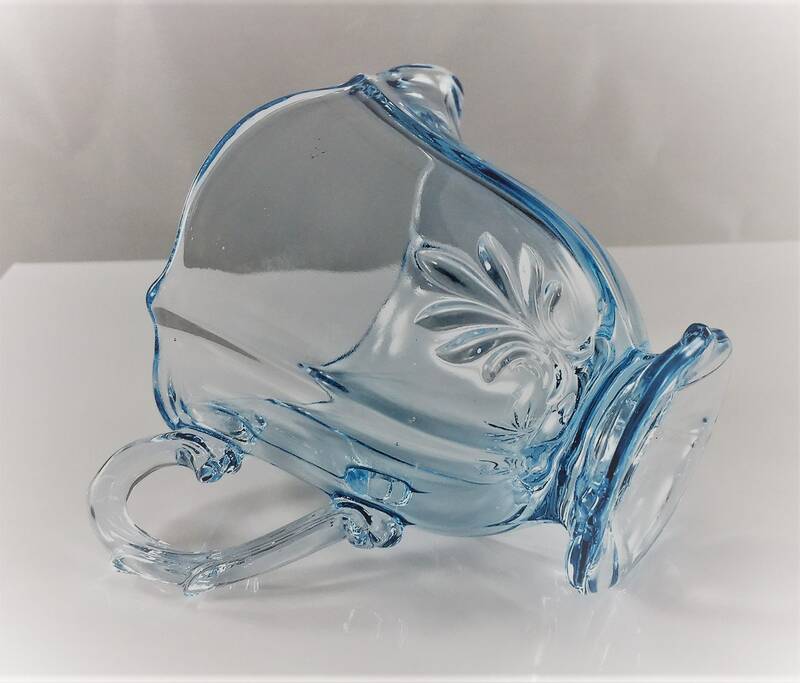 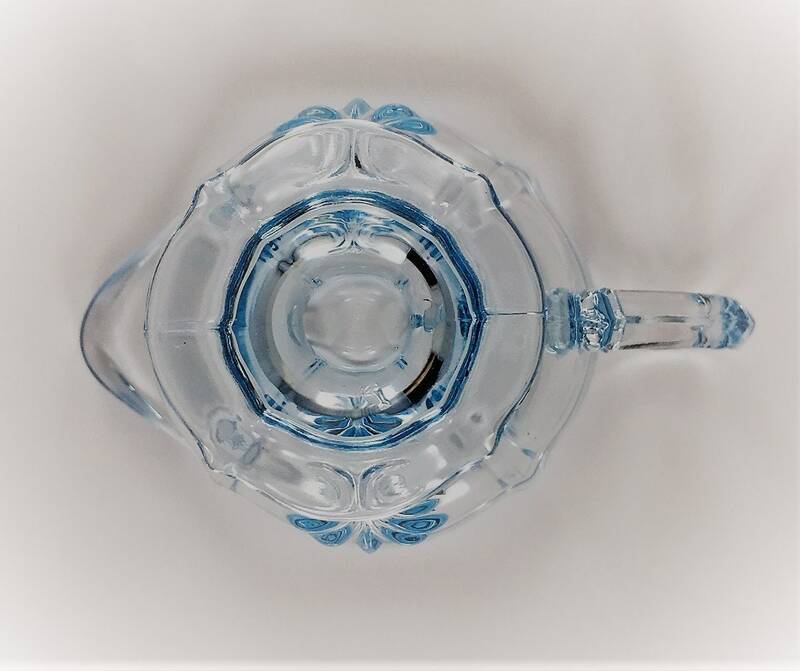 Featured is a beautiful piece of Depression Era glass from Fostoria. 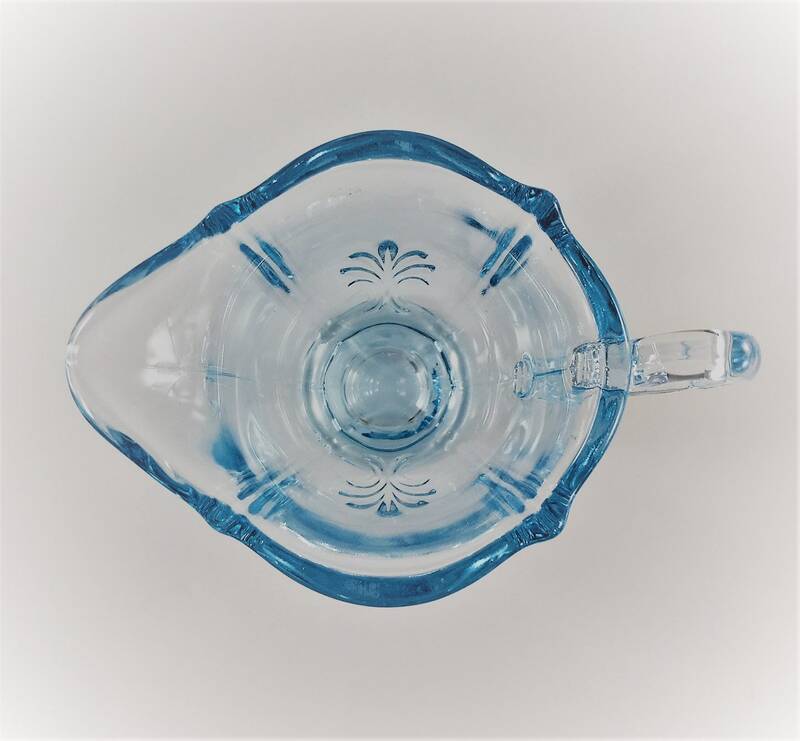 This Individual Footed Creamer measures about 3 1/8 inches tall and is part of their Baroque Blue (Azure) collection, Pattern 2496. 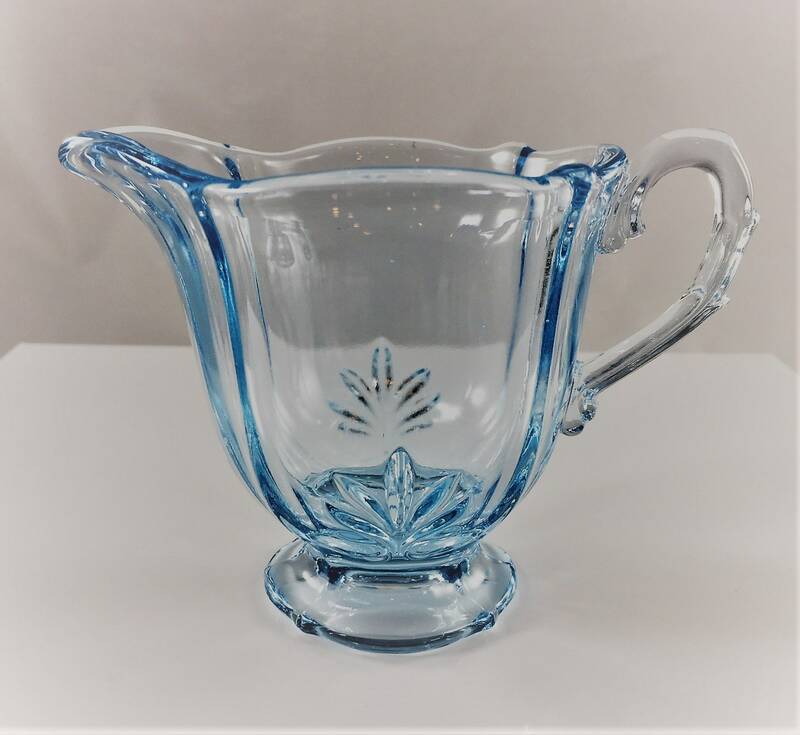 This pattern was produced from 1937-43. 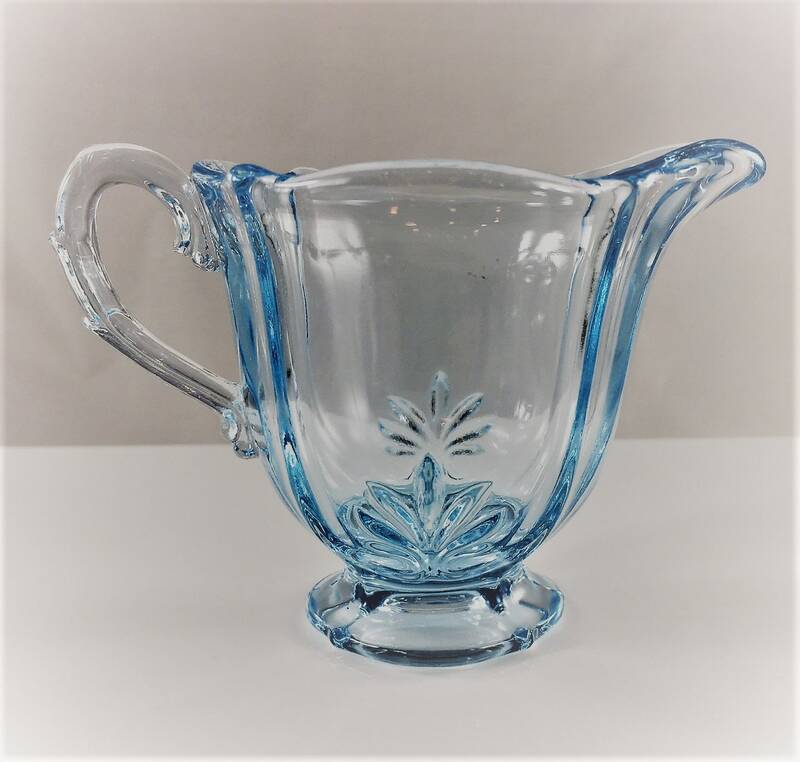 This piece is in excellent vintage condition, free from any chips or cracks.